Fouta embroidered, this towel is originally Tunisian traditional hammam towel. It's a size 1. 00 x 2 m m towel 00 made 100% cotton. Once tried you can't do without this summer. Fouta is the perfect beach towel, it is highly absorbent, dries very quickly once folded it will not take much space in your beach or pool bag. It is available in many colors "sunny". It very well replace the towel sponge for daily use at home. 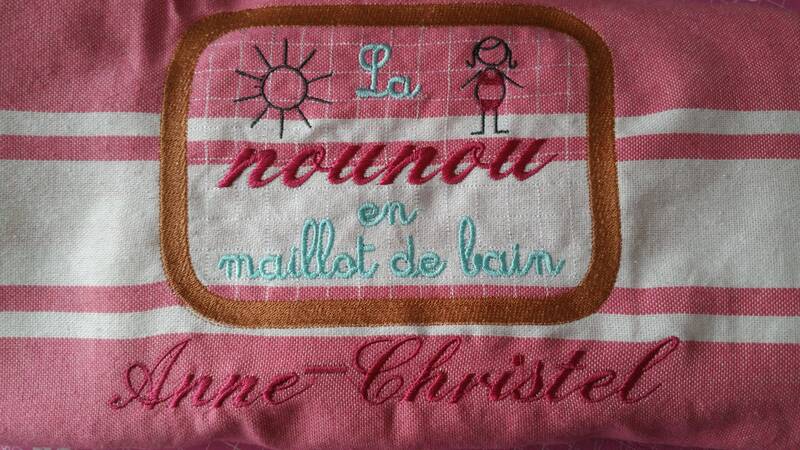 This product is embroidered by me in my workshop in France in a professional manner. 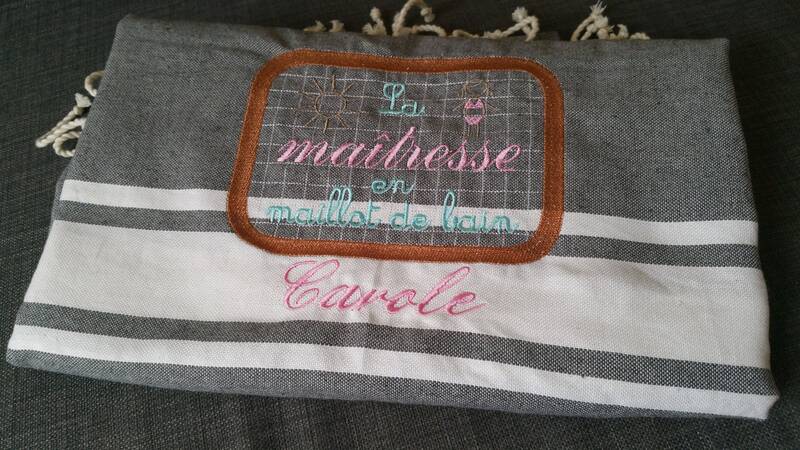 It is completely customizable to become unique: you can choose the color of your fouta (depending on stock available as well as the pattern) and the text of your embroidery. Great for yourself or treat yourself.